Each week the children write a review all about the film they have seen. The review winners at Anson all win a copy of the film. Beauty and the beast was filled with disney magic which i enjoyed. It was filled with singing and fantasy. 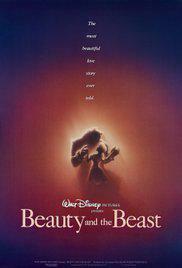 Belle replaces her father as a prisoner for the beast after the father trespasses. This is the beast's chance to find true love. Will Belle love him back. My favourite character was Belle because she is kind. It is obvious she cares about her father a lot. My favourite parts were all the songs as they were merry and entertaining. I would recommend this film 5 and over because they might be scared of the beast's temper though it is a wonderful family film to watch. I rate it a 4/5 stars. 6 word review: Bad dog becomes man's best friend. Five Word Challenge - can you get five words into your review? Underdog is a very special dog. He has lots of special powers that normal dogs don't have like talking instead of saying woof. He can fly through bananas and sofas. He would look better in sunglasses. My favourite part was when he shot out into space and saw an astronaut. 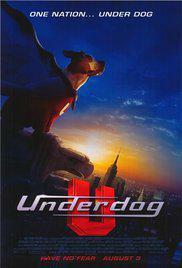 My favourite character was Underdog, because he was the hero and his powers were awesome. He looks really cool in the moonlight like a shadow. I would rate it very highly - 10/10. I would recommend it for children over 5 years. This film was astounding, adventurous and had a bundle of action. If those words are the genre of your type of movie, then watch SPY kids! Carmen and Juni have been living a lie, thinking their parents are an ordinary, boring mom and dad. Their father has an assignment to find missing agents after his retirement . The father, Gregorio suspects Fegan Floop has something to do with it. Ingrid is willing to help so they set off together. Unfortunately the two spies get caught. Carmen and Juni have to rescue their parents. Will they have victory or misery? My favourite part was seeing the gadgets being used as they were very helpful and cool. If I only I had them. My favourite character was Carmen because she was fierce, confident and really clever. I would rate this film 5/5 and recommend it to 5 and over. 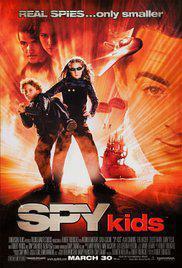 Spy Kids is a film about two kids that get bullied. Soon they find out about their parents epic past. 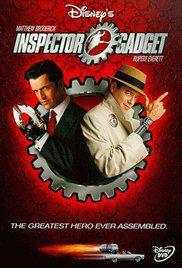 I liked when the spies tricked the bad guys because the spy kids were smarter and cleverer than the bad guys. I liked the whole film. I will five this film ten stars. 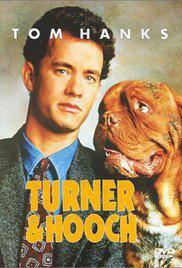 This film was a about a security guard who got injured terribly in a car chase. In the hospital, they gave him new robotic body parts. He learns to use it, but one day he is faced with a challenge. Can he complete the challenge and save his town and his people? This film was full of excitement, adventure, love and obviously - robotics! There were some cringy moments like when John Brown accidentally clutched the teacher's most precious body part and his clone's face when it was time for trouble, but I think it was fine. My favourite gadget was the car and how it flooded with Skittles (i wanted to eat them all!). Silly robotic policeman with funny fingers and a long neck solves murder. Very funny but too much kissing! It's like Mr Bean meets Star Wars. An average security guard had a car accident. After an operation he became a crazy robot and now his body is one big enthusiastic gadget!